Backhills Barbecue Sauces are unlike any other sauces that I've come across. They are completely unique both in appearance and flavor. I've already reviewed their Hot Barbecue Sauce and recently got the chance to try their Sweet N' Sassy sauce. Like Backhills' other BBQ sauces, Sweet N' Sassy is a bright red and accented with very coarsely ground herbs and spices. The thickness exceeds most typical BBQ sauces. It pours slowly and is best served brushed on ribs and chicken or as a dip. The Sweet N' Sassy variety has a very similar flavor profile to Backhills' Hot Barbecue. The heat factor has been cut just a tad, but it still has a hefty kick. The sauce is very sweet, but uniquely so. It's much more like a tangy Asian sweet chile sauce than the typical sweetness most BBQ sauces feature. I used Sweet N' Sassy on several different occasions. The thick sauce was great as a finishing glaze on chicken quarters. It left the chicken with a beautiful red, glossy shine. The sauce has also become one of my favorite dips for french fries. The combination of sweet and spicy make a great alternative to ketchup. It can also be used to spice up burgers, hot dogs and meatloaf. Backhills Barbecue Sauces can be purchased online here. If you happen to reside in or be passing through Northern Idaho, several fine retailers carry the sauces. Don't forget to see how these sauces rate on our "Product Reviews" page. 2 Response to "Backhills Barbecue Sweet N' Sassy"
BackHills BBQ sauce is by far the best I have had. 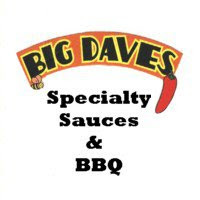 I own an RV park in Port Orford Oregon and BBQ for my guests and they love the sauce. I have dealt with Tony the owner and he is great. Tim. Port Orford RV Village. And to think you had your beginnings in Claremont, CA making "starvation stew" with whatever leftovers were in the refrigerator and boiling eggs 'til they popped and ended up all over the ceiling! Congrats on your bbq sauce!